Please note that the quality of the MP3 samples on this page does not reflect the quality of the audio on the CD. 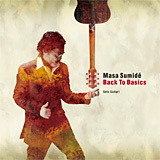 I take my hat off to Masa for his creative ability and harmonic sense, not to mention his outstanding playing technique. 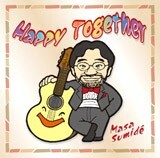 With his groovy arrangement, Masa weaves a new dimension into the hit songs of our day and makes you feel good. 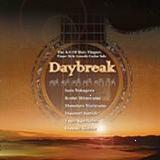 This isn't a sleepy collection of cover tunes...it's a guitar playing tour de force. There're some totally smoking tunes on there like Black Cat and beautiful pieces like your arrangement of Penny Lane. From covers that I've heard other people do, I wasn't really expecting this. It is spectacular. The arrangements actually transcend the original versions and become your own songs in a way. 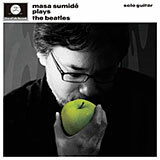 Masa Sumide is quite a phenomenon, a very fresh experience because his playing is new and original to me. He has a valuable root: the kind of jazzy chord-melody playing developed and refined to a very high level by Joe Pass ( the "Virtuoso" series). 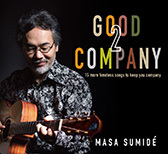 In Masa's style, the polyphonic jazz playing is combined with distinctive groovy techniques, rhythms and melodic invention. 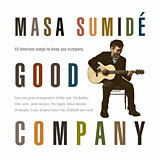 Masa is not "just a groover", he is a great in his own right. 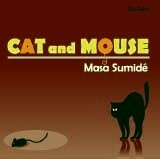 The "Cat and Mouse" CD shows it really well. 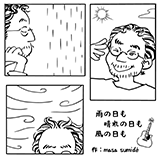 I am very much enjoying listening to your new CD Cat and Mouse. 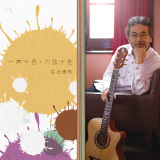 You are a prolific writer who continually redefines the boundaries for fingerstyle guitar. Thank you for your gift! 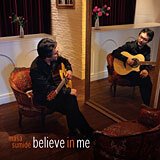 Also available in Europe from Acoustic Music Records in Germany. Wow! I have not stopped listening to this CD since I got it. 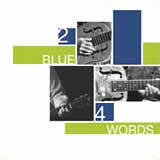 A wonderful combination of rocking grooves (as in the title track) and lyrical melodies (as in One Day in Paris). It also captures the energy of Masa's live shows. This is a great CD. 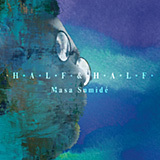 Thank you, Masa, for such a creative and inventive CD album. "50/50" is the funkiest guitar tune I've heard in years...maybe ever!! Excellent work, Masa. Your recording reaffirms my belief that the guitar is capable of more than "guitar music." 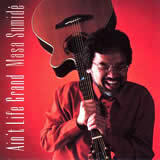 Great guitarist, musician, arranger. He surprises me all the time. Two words --- VERY FUNKY!!! 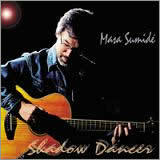 Masa has mastered all the gestures of contemporary fingerstyle guitar. 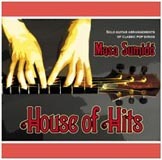 Fasten your seatbelt as he slaps and taps you through this popping set of original jazz and blues tunes. 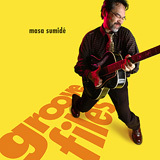 "Groove Files" is Masa's TOUR DE FORCE offering! !...clearly head and shoulder's above anything that's out there at the moment and you know you're in for one hell of a ride from just the opening track!! 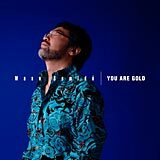 All the cooool grooves here are backed by solid writing with a melodic direction and hypnotic primal vibe, and the ballad selections are just dreamy and seductive! 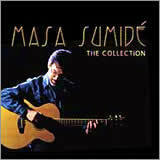 ...an unforgettable Masa Sumide CLASSIC!! 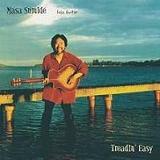 Masa Sumide plays very high standard acoustic guitar, he is genius in creating melodic and grooving melodies with jaw-dropping techniques and great balance in his music. 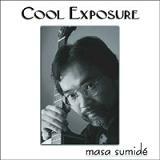 "COOL EXPOSURE" is another masterpiece by one of the world's greatest solo guitarists. I cannot imagine anyone not loving this recording and playing it over and over. If I were a DJ, I would put it on to blow everyone's mind and get them off their feet for the first time to solo guitar. My words do not do it justice. Truly an accomplishment! 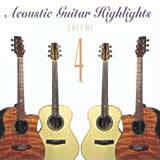 What a great CD! 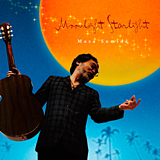 I really like his rich chord work and rhythmic fingerstyle picking. 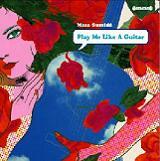 Masa is obviously a very accomplished guitarist and it's a pleasure to hear such strong, confident playing. 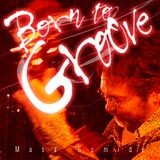 Great tunes and great swingin' grooves! 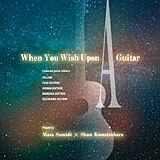 Please direct all CD/DVD/BOOK orders to our distributor "Pooh Yokocho". The site is in Japanese but enquiries in English can be made. 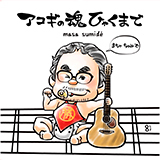 Thanks for your interest in Masa's guitar music!!! 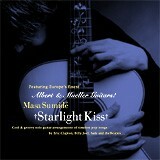 Masa's CDs are now available in KOREA through GUITAR MUSIC.